I scratch-built everything from the waist down, plus the collar and torso vents. I took more than four years to build him, but it can be done in far less than that. 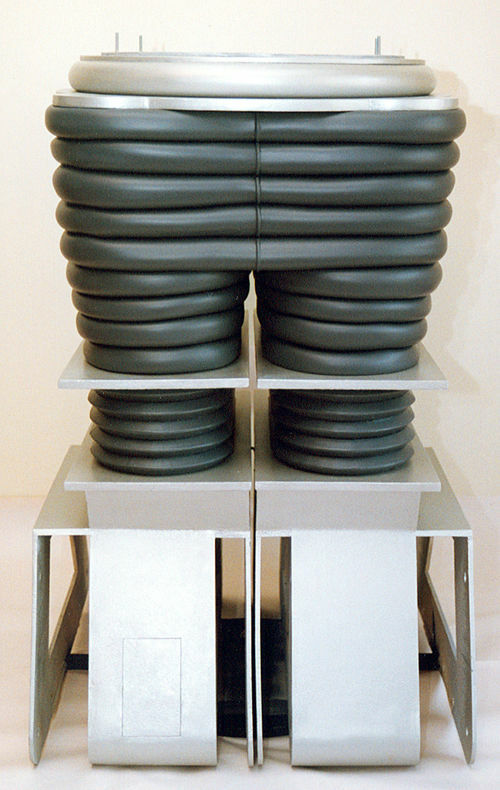 You could spend anywhere from $1,000 to $5,000 on this project, depending on materials and features. 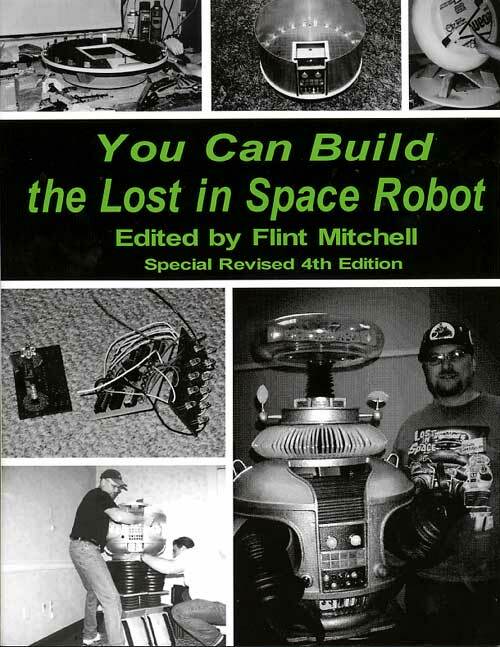 My robot and I are pictured in the 4th edition of Flint Mitchell's book that started it all, You Can Build the Lost in Space Robot. Click here to order your own copy from Amazon.com. • April Fool's Day Hoax An alternate universe? 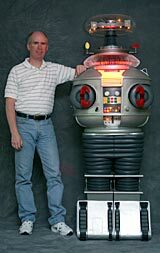 • "Lost" B9 Robot Photos – have you seen these? 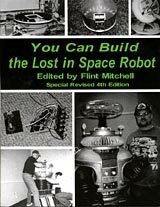 If you're curious about starting the project, or just want to know more, The B9 Robot Builders Club is the place to explore. Click here for the site. I’m always happy to hear from people and answer questions. You can build the robot's waist, legs, knees, and tread section the same way that I did with these newly-revised templates & instructions. Click here for details.